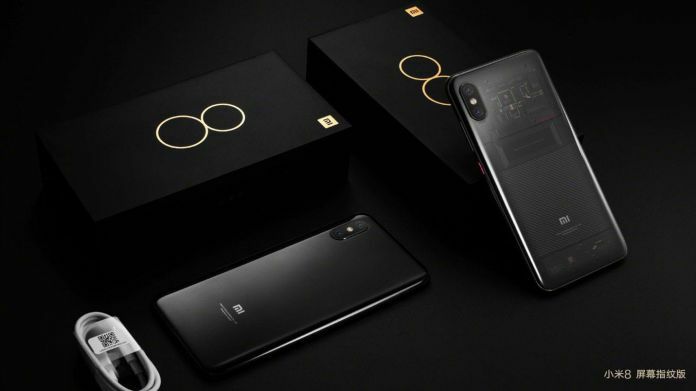 Last week Chinese smartphone maker, Xiaomi launched two new smartphones in the Mi 8 segment, The Xiaomi Mi 8 Lite and Xiaomi Mi 8 Pro in China. Xiaomi may launch the Mi 8 Lite and the Mi 8 Screen Fingerprint edition aka the Mi 8 Pro in the global market soon. The company has started teasing the global roll-out of the Xiaomi Mi 8 Lite and Mi 8 Pro in global markets and India could be one of them. The new move is followed by a tweet posted by Xiaomi’s Global spokesperson Donovan Sang that confirmed the global launch of the Mi 8 Pro. Xiaomi hasn’t revealed the global Mi 8 Lite price details. However, the smartphone is available in China with a price tag of CNY 1,399 (roughly Rs. 14,850) for the 4GB RAM and 64GB storage variant, while its 6GB RAM and 64GB storage model comes at CNY 1,699 (roughly Rs. 18,000) and the top-end, 6GB RAM and 128GB storage is priced at CNY 1,999 (roughly Rs. 21,100). The Xiaomi Mi 8 Pro, on the other hand, was launched at a price of CNY 3,200 (Rs 33,990) for the 6 GB RAM and 128 GB storage model and CNY 3,600 (Rs 38,238) for the top of the line variant with 8 GB RAM and 128 GB storage. The dual-SIM Xiaomi Mi 8 Lite features a 6.26-inch Full HD plus display with a resolution of 1,080 x 2,280 pixels. On the inside, there is an octa-core Qualcomm Snapdragon 660 AIE SoC, paired with up to 6GB RAM and 128GB of onboard storage. The smartphone has a dual rear camera setup that includes a 12-megapixel primary sensor and a 5-megapixel secondary sensor along with a f/1.9 aperture and AI capabilities. On the front, there is a 24-megapixel Sony IMX576 selfie camera. The Xiaomi Mi 8 Lite has a Face Unlock feature and comes with a rear-facing fingerprint sensor. The Mi Lite is powered by a 3,350 mAh battery that supports Qualcomm Quick Charge 3.0. The phone comes in two gradient colour finishes — Blue and Purple as well as Orange and Yellow. The Xiaomi Mi 8 Pro features a 6.21-inch full-HD+ (1080×2248 pixels) full-HD+ Super AMOLED display along with 402 PPI (Pixel Per Inch) of pixel density and 430 nits of brightness. The dual-SIM phone runs Android Oreo-based MIUI 10. The smartphone is powered by a Snapdragon 845 AIE SoC, coupled with up to 8GB RAM and 128GB storage. It has a dual rear camera setup that includes a 12-megapixel sensor along with optical image stabilisation (OIS) a f/1.8, wide-angle lens well as a 12-megapixel sensor along with a f/2.4, telephoto lens. On the front, there is a 20-megapixel sensor that supports 3D Beauty and AI Portrait mode. The Xiaomi Mi 8 Pro is available in three colours — Blue, Gold and a transparent back like the Explorer Edition. The Xiaomi Mi 8 Pro has 4G VoLTE, Wi-Fi 802.11ac, Bluetooth v5.0, GPS/ A-GPS, and USB Type-C. Besides, the smartphone packs a 3,000mAh battery and measures 154.9×74.8×7.6mm.